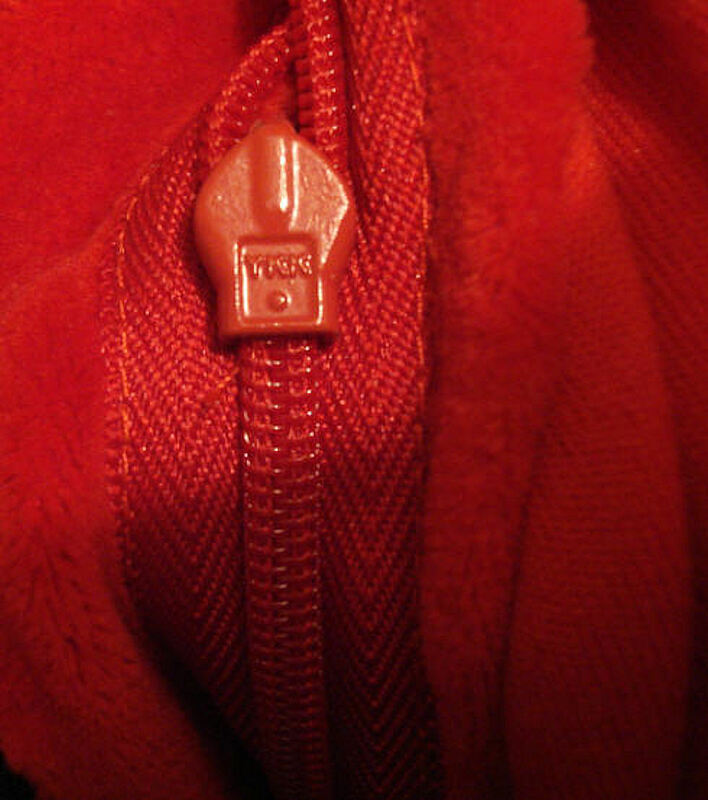 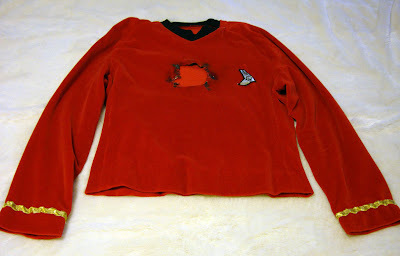 Original Series Style Engineering Tunic from DS9 "Trials and Tribble-ations" and Enterprise "In a Mirror, Darkly"
Below are some detailed photos of a 1996 red velour TOS-style tunic that was screen used in the celebrated Deep Space Nine 5th season episode "Trials and Tribble-ations" (airdate: November 4, 1996); which was created as a special 30th anniversary tribute to the Original Series. 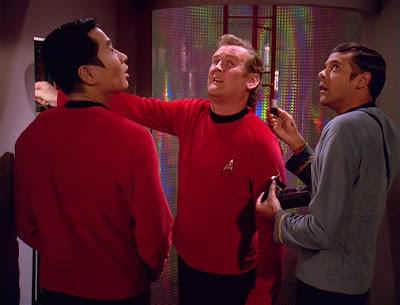 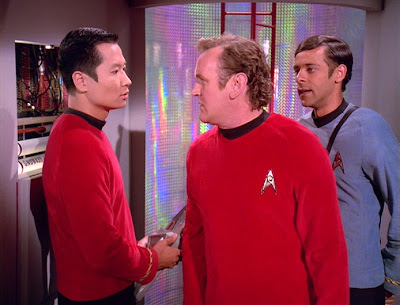 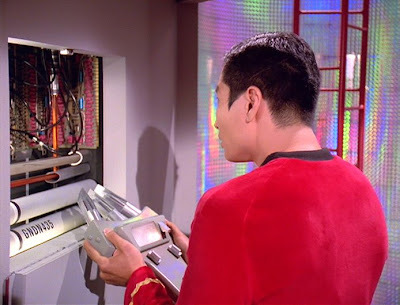 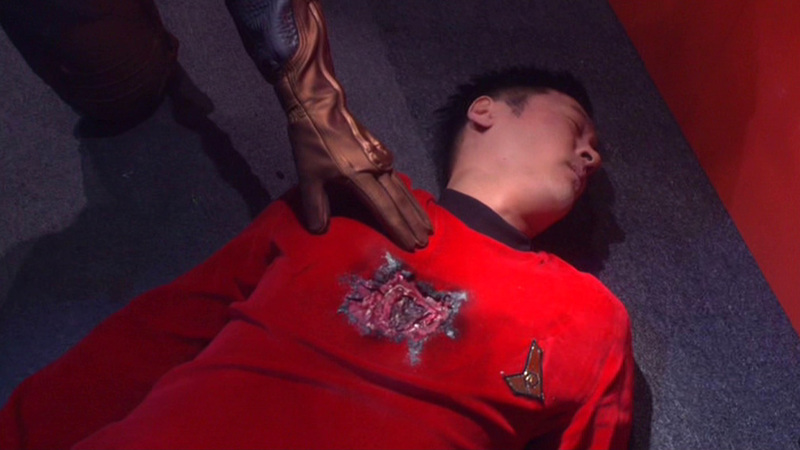 "Trials and Tribble-ations" featured many highly enjoyable special effects scenes in which the DS9 actors were inserted into TOS footage from "The Trouble with Tribbles" episode and were seen to interact with the crew and the events of that Original Series adventure; while undertaking a time travel mission into their past. 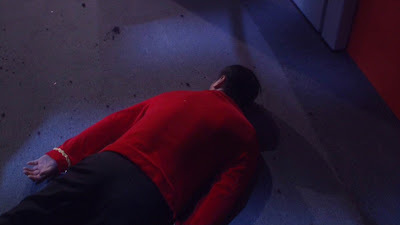 In 2005, this costume was modified for use in the Star Trek: Enterprise two part episode "In a Mirror, Darkly", and was screen worn by actor Curtis Wong who appeared as a Starship Defiant crewman that was killed after suffering a severe phaser wound to the chest. 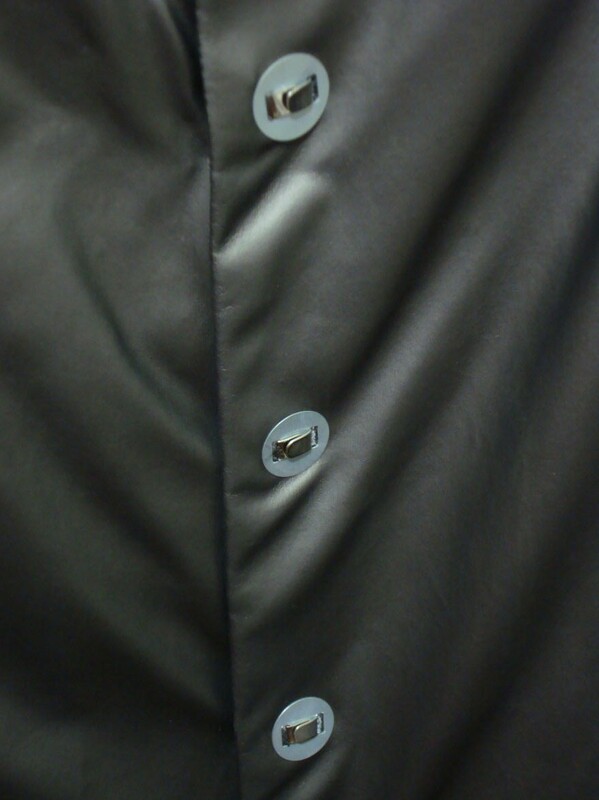 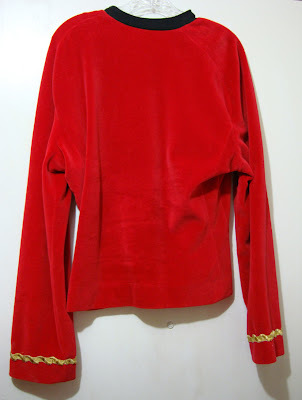 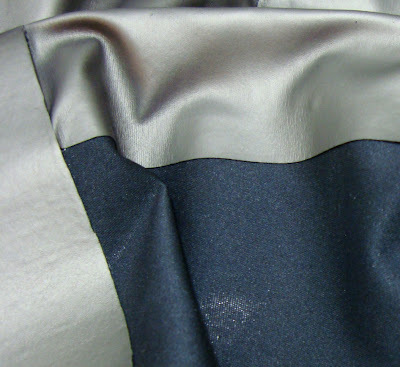 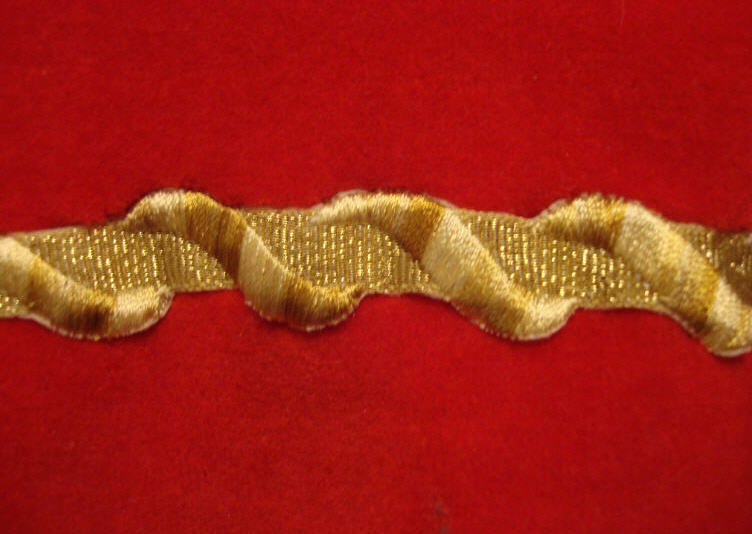 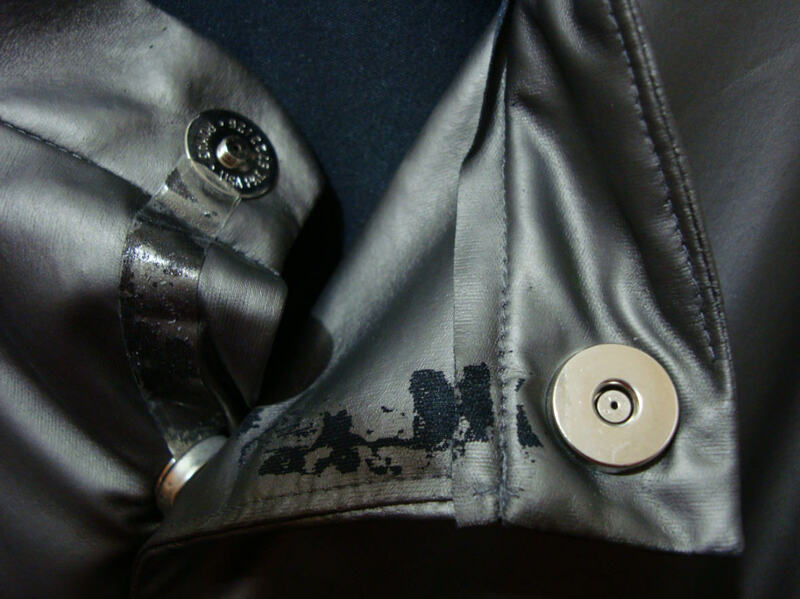 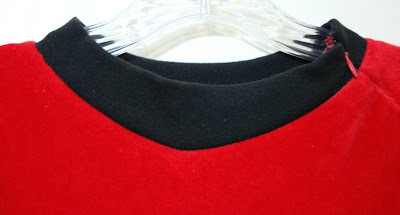 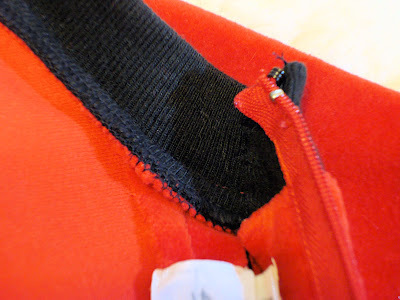 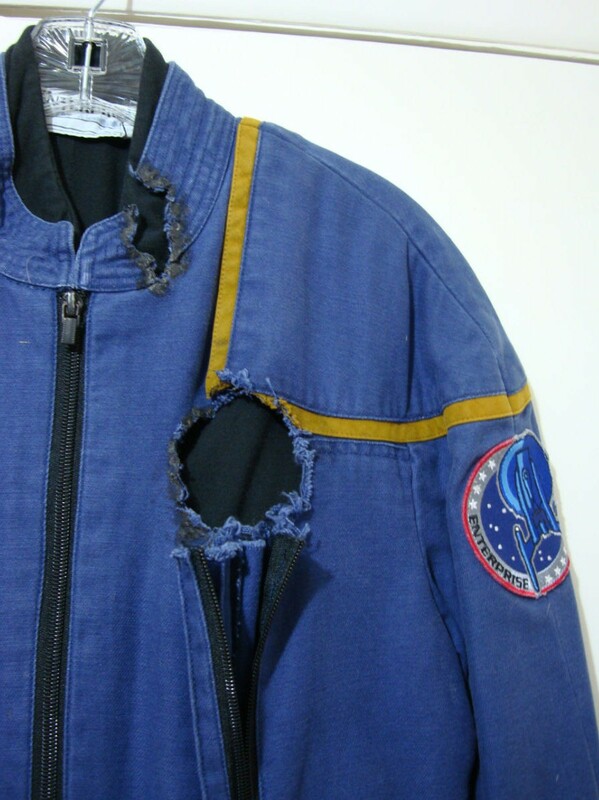 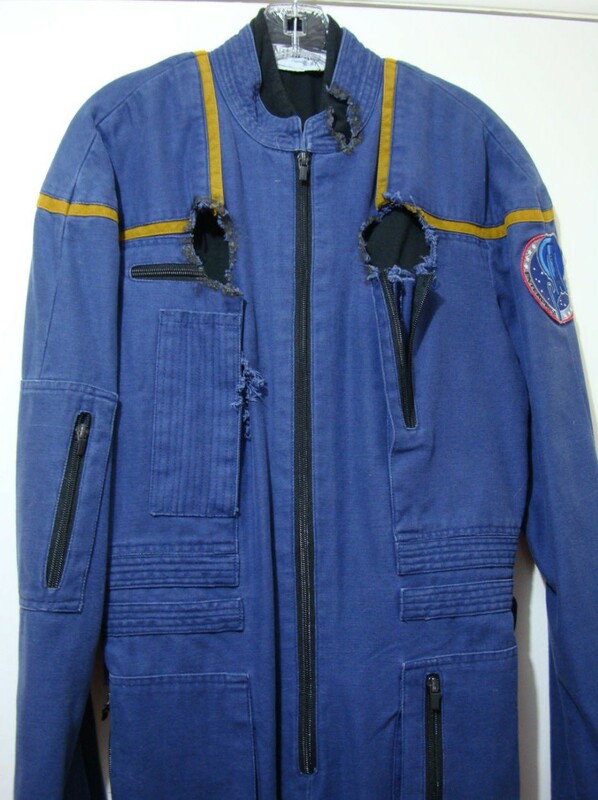 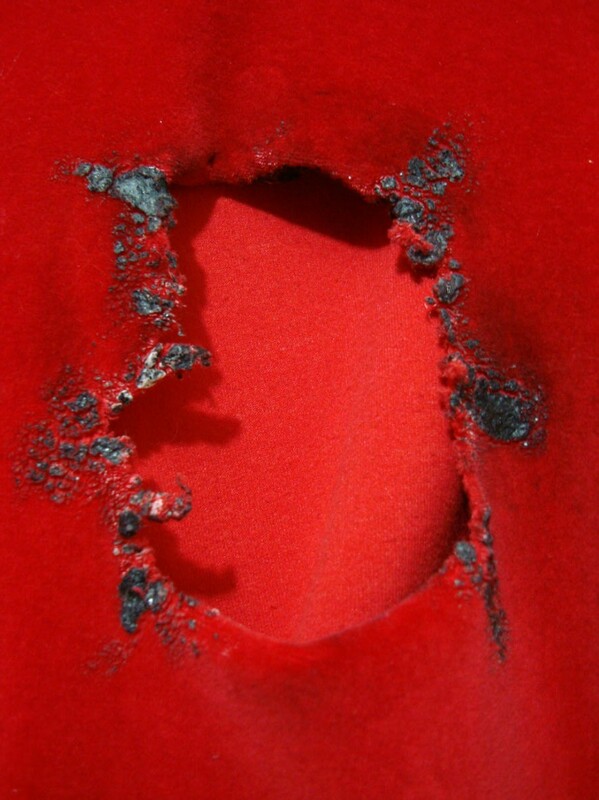 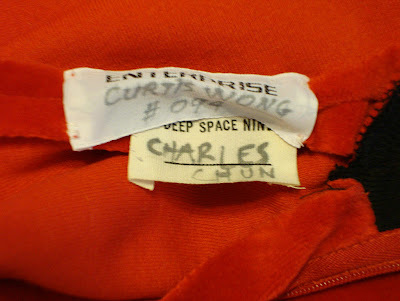 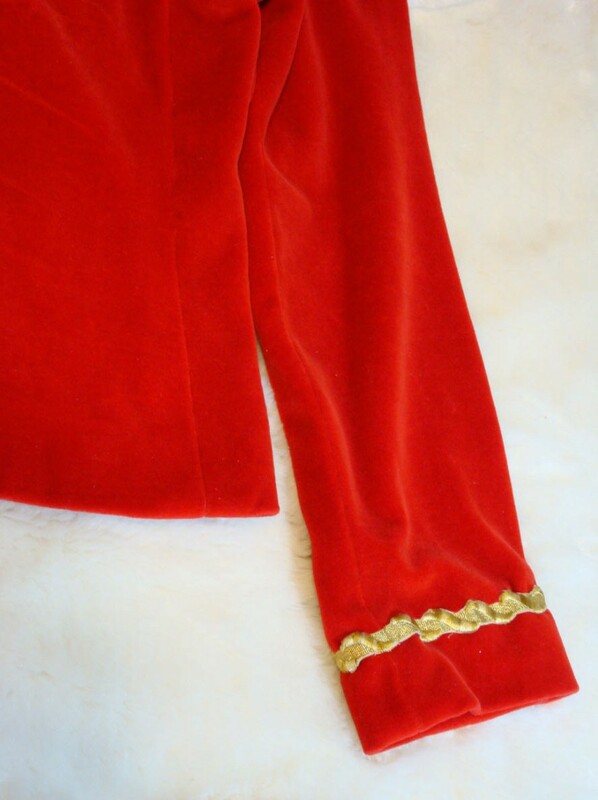 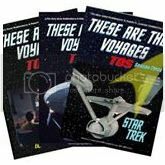 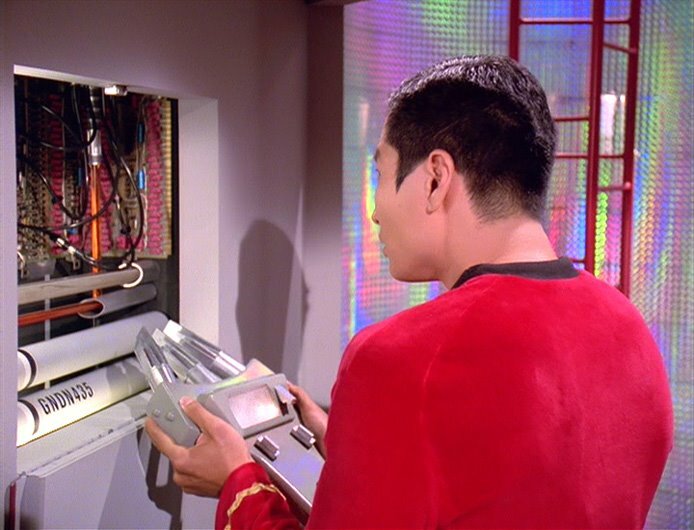 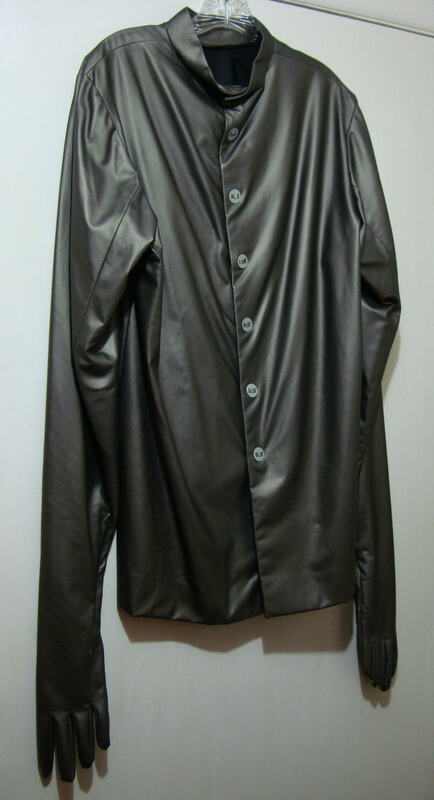 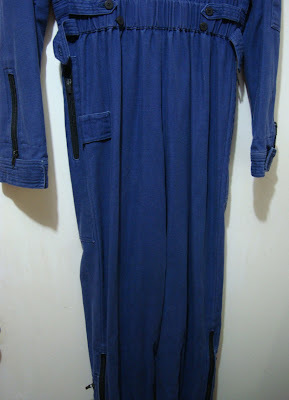 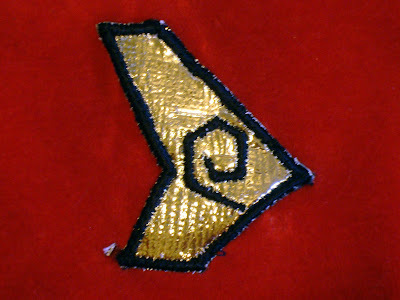 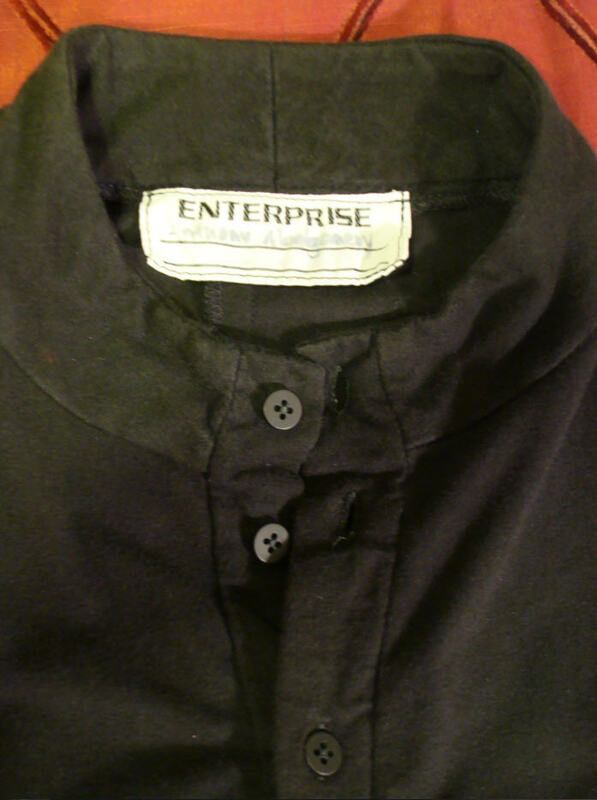 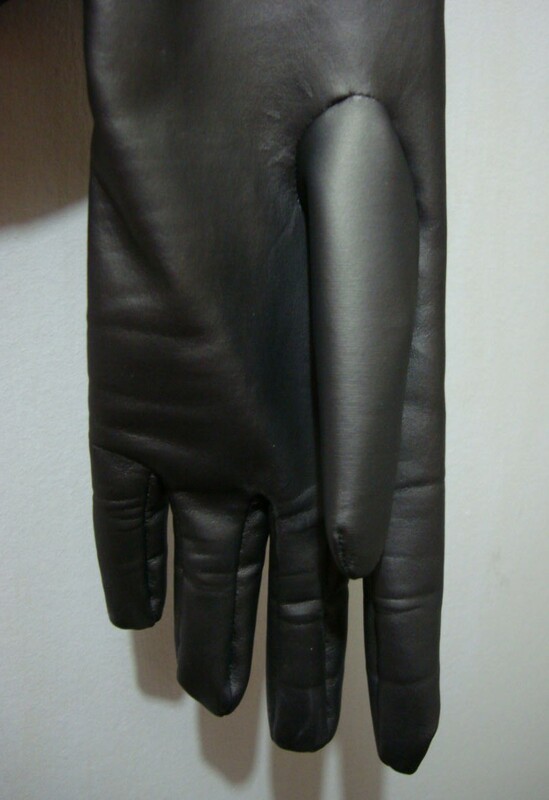 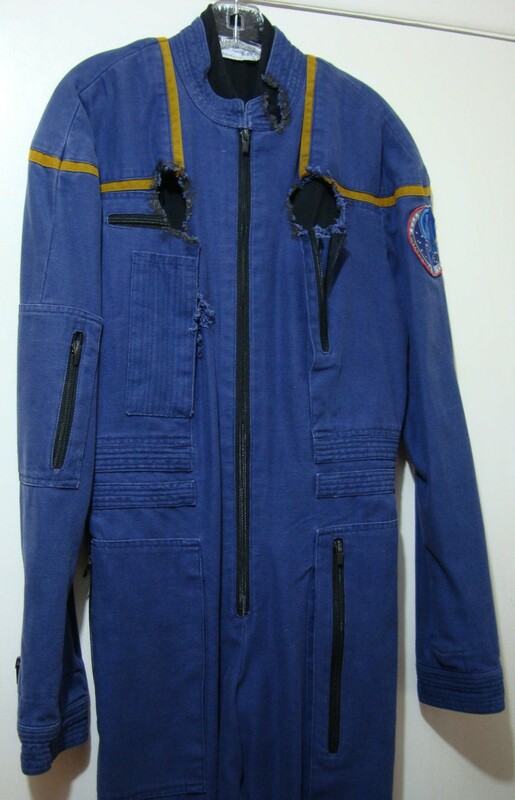 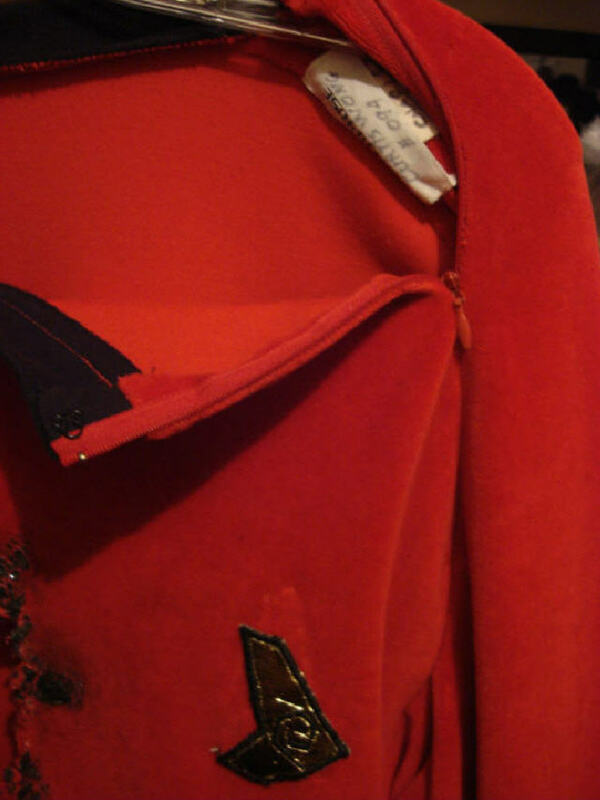 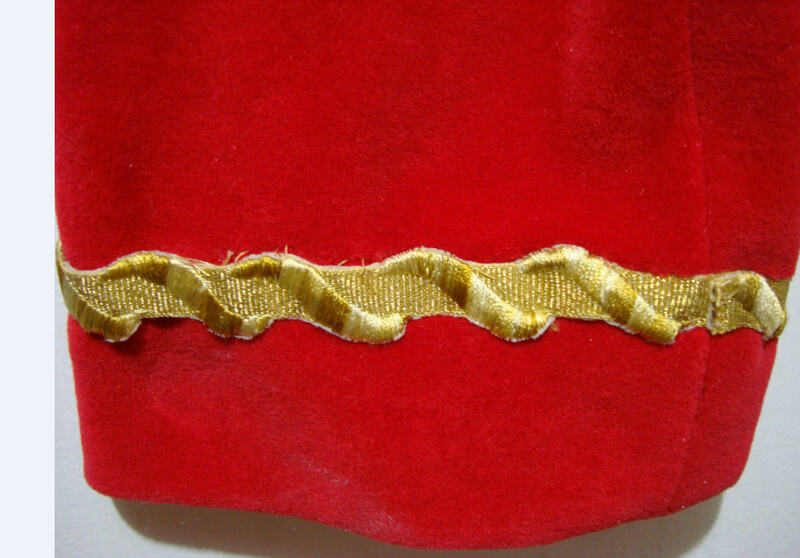 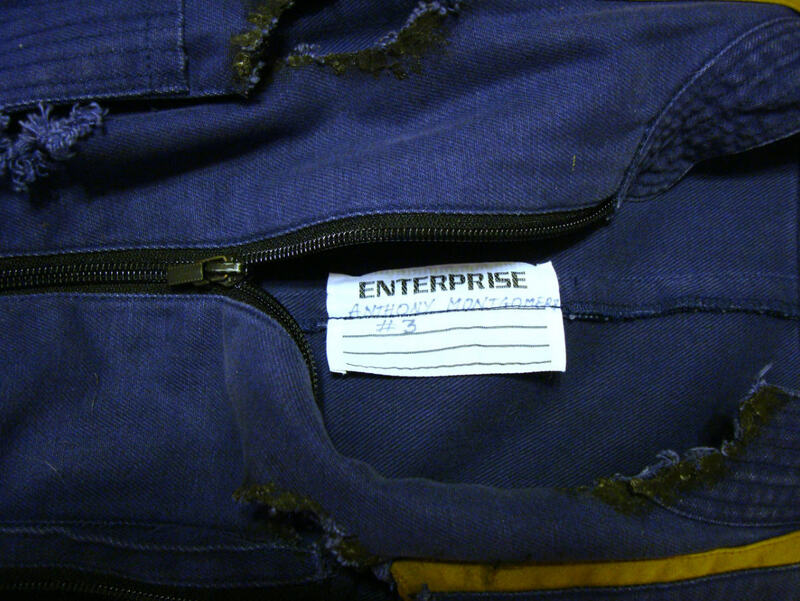 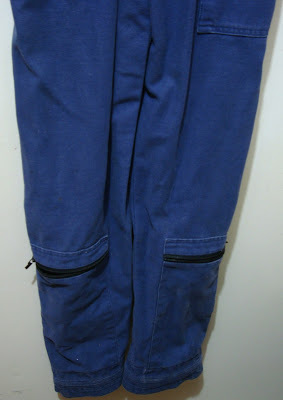 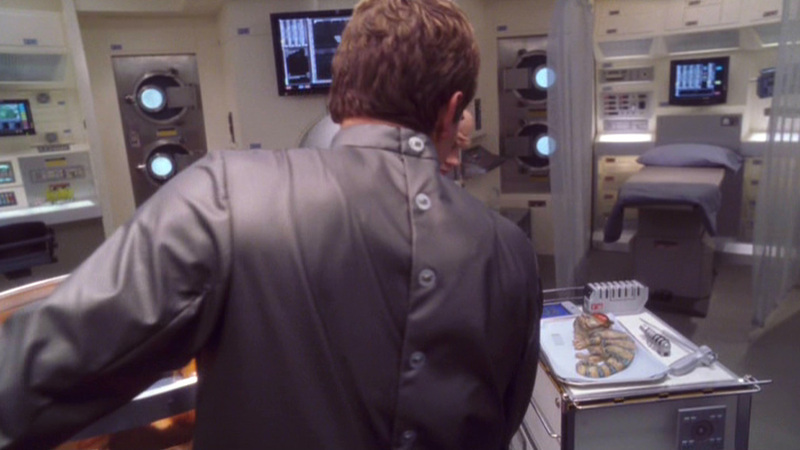 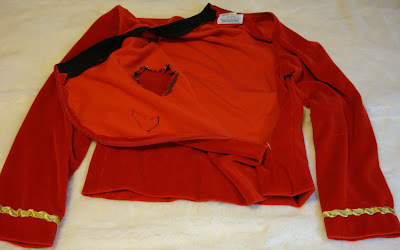 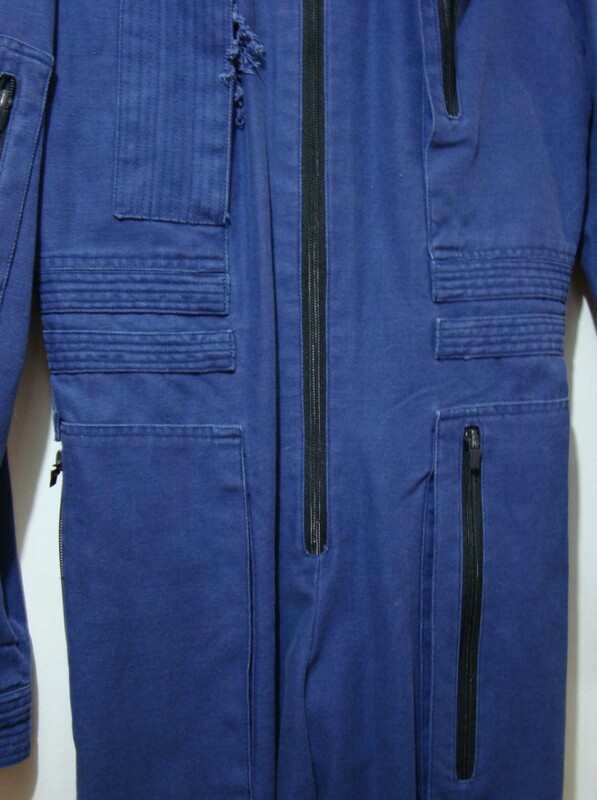 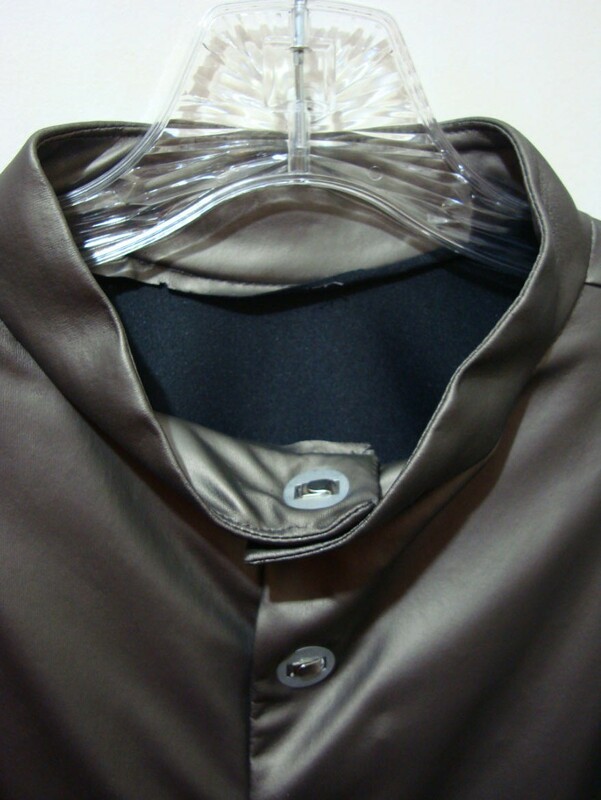 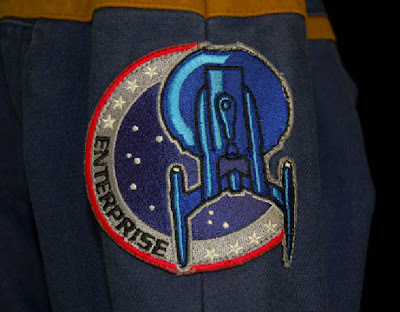 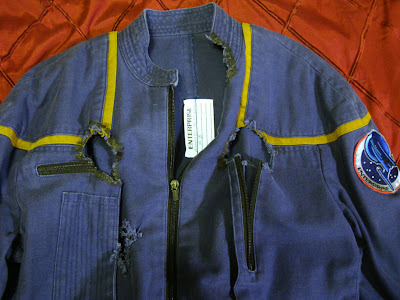 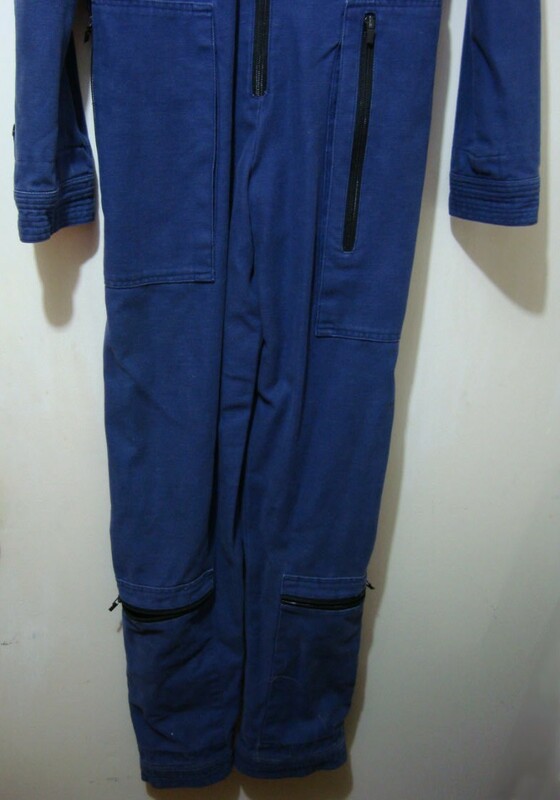 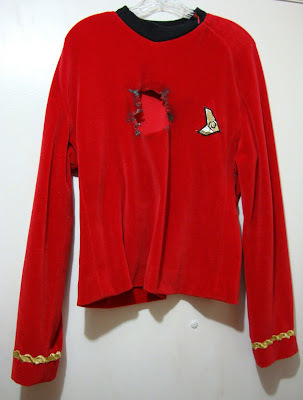 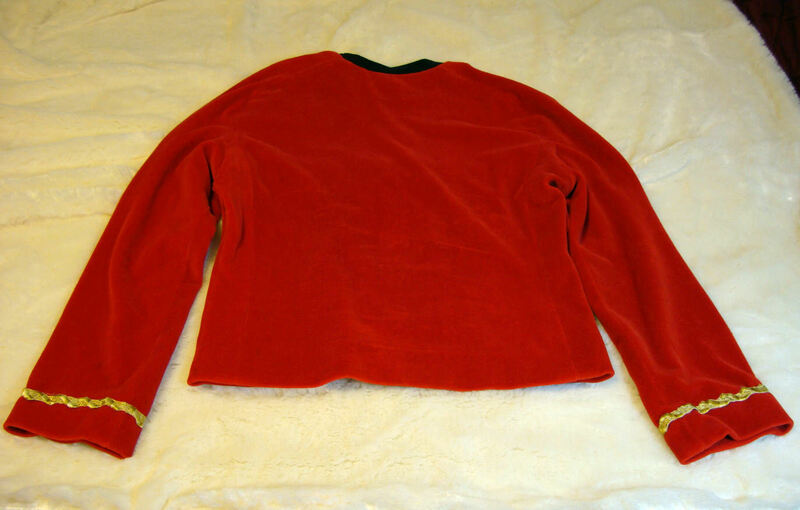 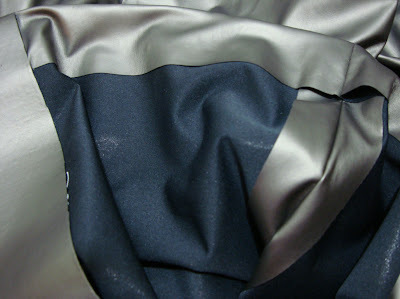 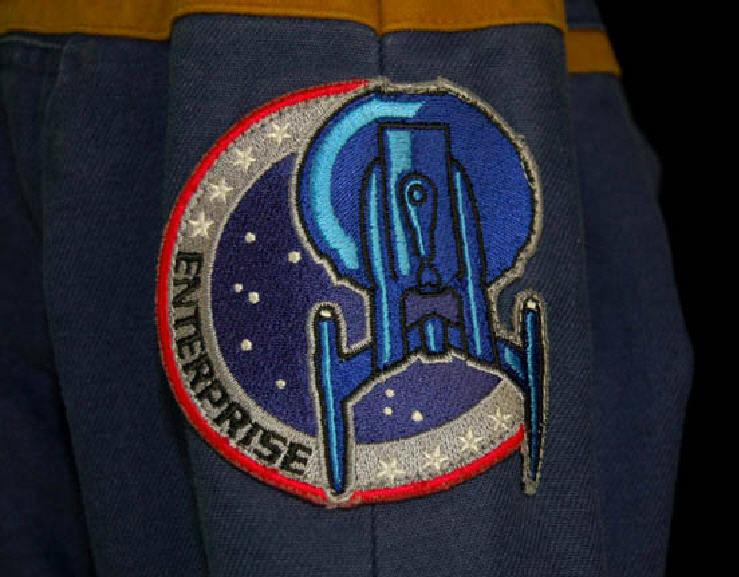 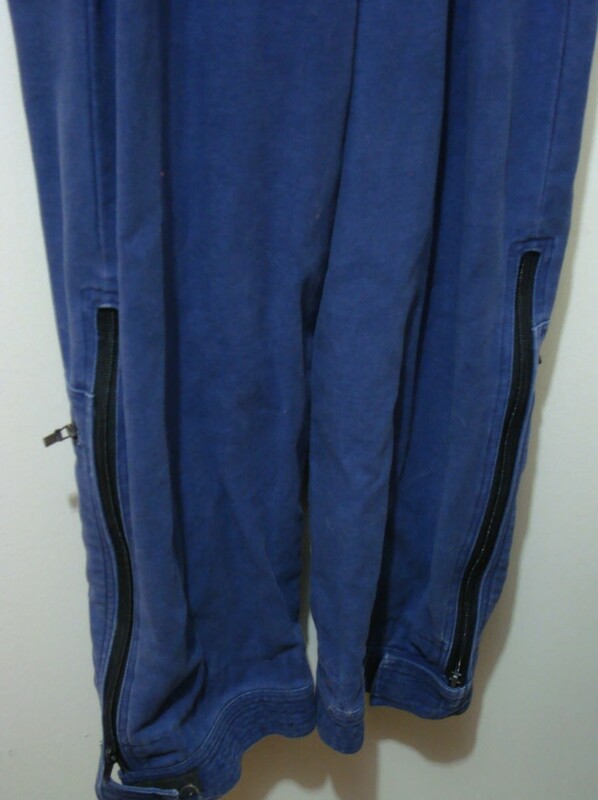 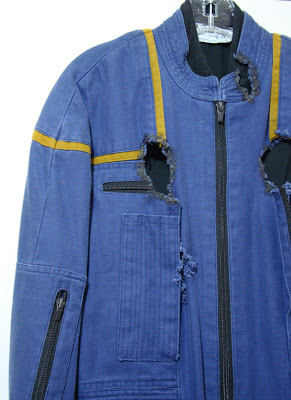 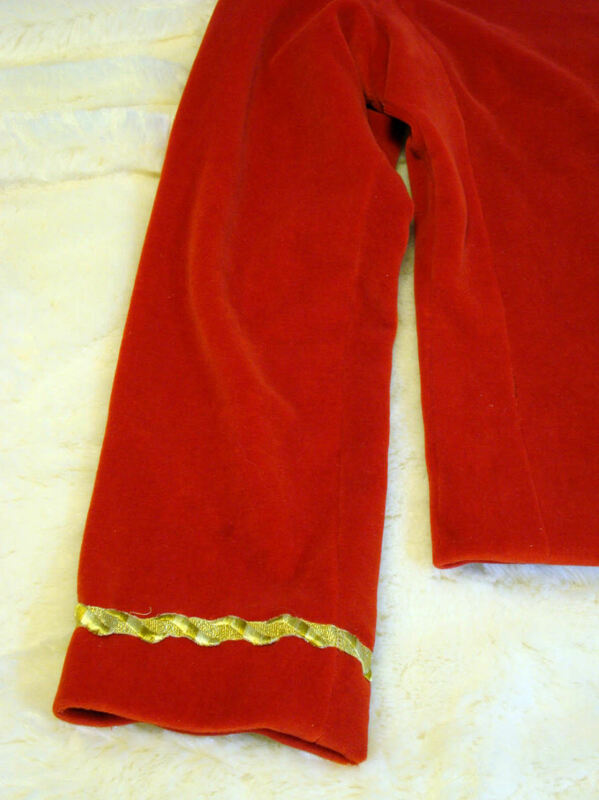 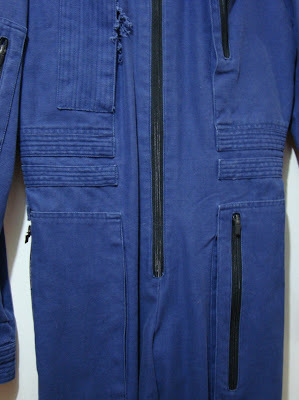 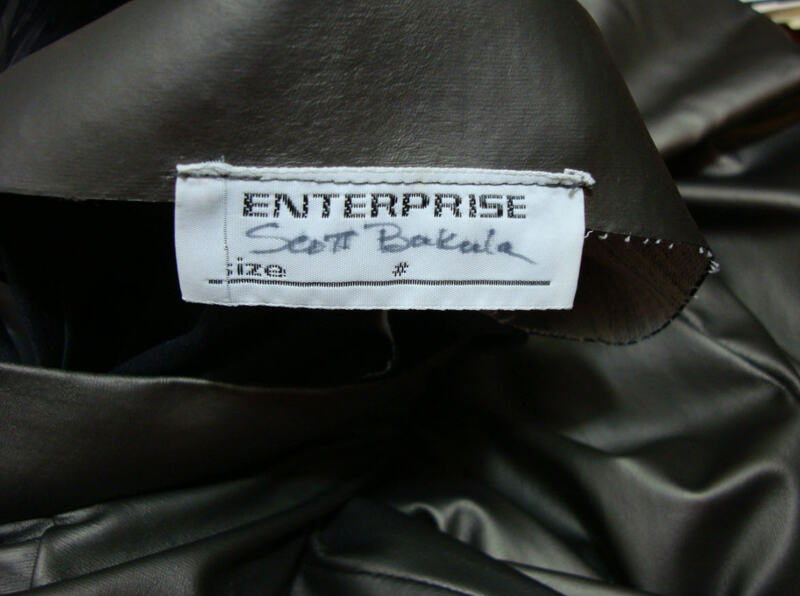 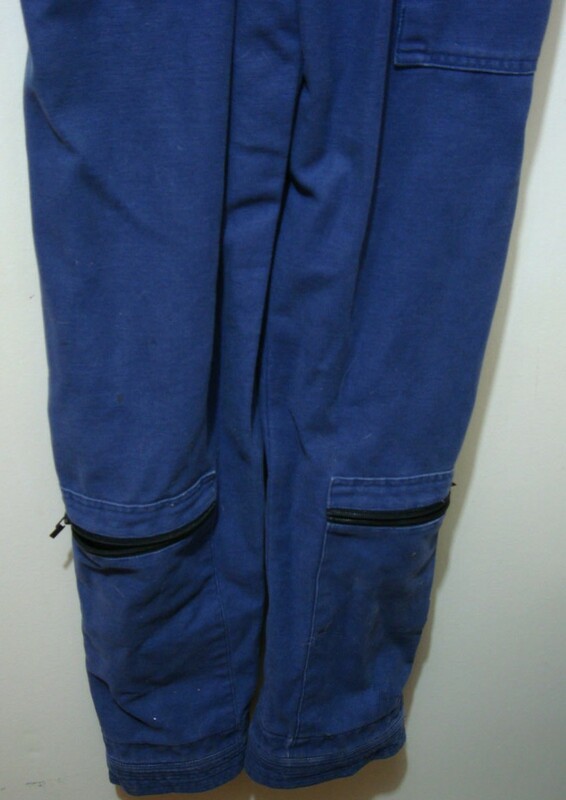 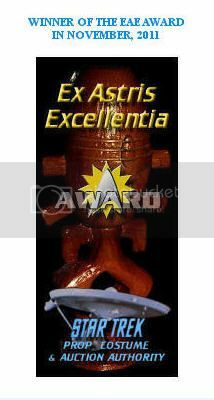 Presented below are some detailed photos of a screen used Starfleet uniform from Star Trek: Enterprise. 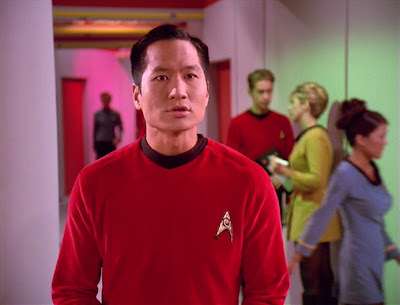 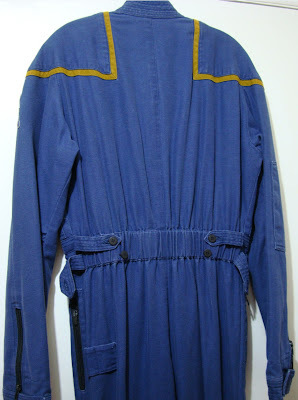 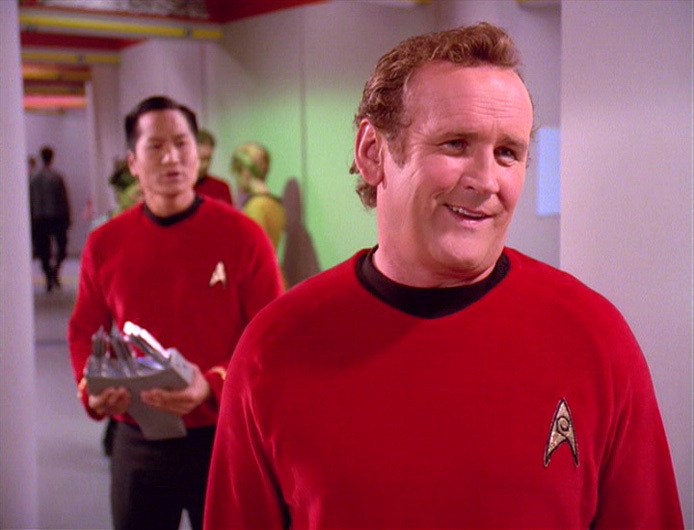 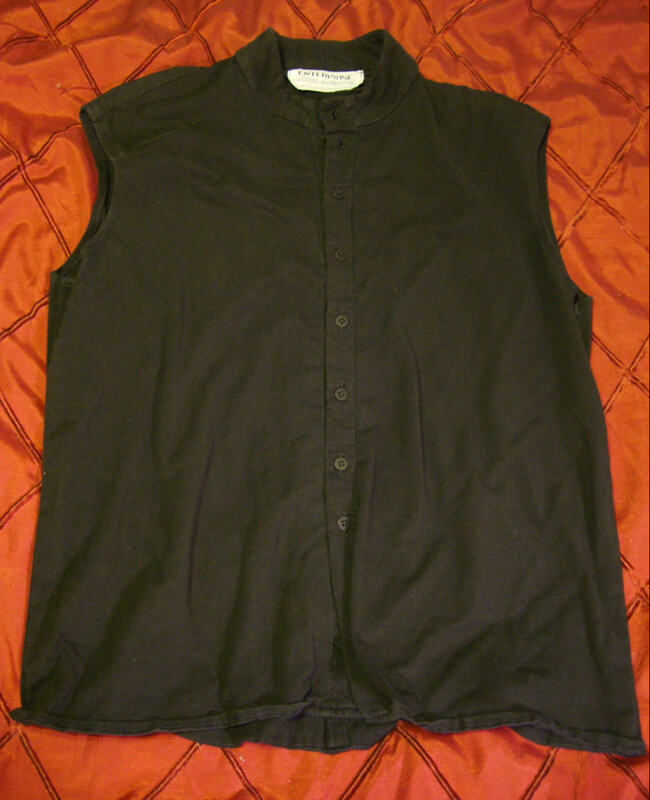 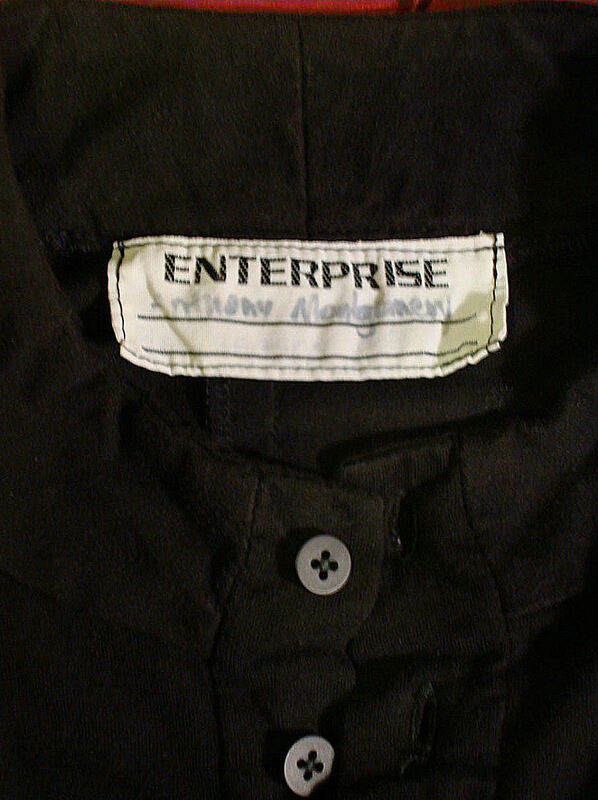 This command division uniform was worn by actor Anthony Montgomery in the role of Ensign Travis Mayweather, the Helmsman of the Enterprise NX-01.